comScore reports that in April 2013 there were over 20 billion search queries and of the 13 billion+ handled by Google, 16% of daily searches have never been seen before. Each of those attempts represents buyers looking for solutions at the moment of need. Online marketers that take advantage of modern, scalable search engine optimization best practices as part of their overall digital marketing mix can gain a significant advantage over competitors to become “the best answer” when it matters most. Understanding the basics of search engine optimization can be challenging given how often major search engines update and change the rules. However, buyers’ overwhelming use of search to find solutions is too great to ignore it’s influence on the buying cycle and achieving sales growth goals. Along with managing the implementation of current SEO best practices, marketers must also take advantage of SEO performance improvement opportunities. In competitive industries, these opportunities come up regularly and without warning. Organic search is very much a race to the top, in that one brand’s loss of positioning is another’s opportunity to move up the ranks. Of course, ranking well for keywords that customers use when searching for solutions is useless to your business unless that positioning brings inquiries and conversions. 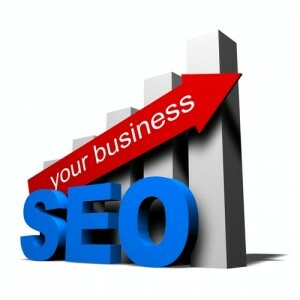 The good news is, SEO best practices help achieve better positioning as well as the performance of those rankings. Business growth feeds the online marketing budget; brands dedicate more resources to online marketing tactics like SEO as they show growth in ROI. Marketers able to successfully manage SEO as part of the online marketing mix and demonstrate ROI can scale their SEO programs for even greater success. But how do you do scale SEO? This post will outline 7 steps towards scaling up your search optimization strategy from benchmarks to conversions so you can create the framework for even more success with organic search. Planning for growth first requires an inventory of all existing assets, challenges, and opportunities. This insight helps drive a strategy based on a realistic understanding of where your business sits in the eyes of potential and existing customers – and in comparison to competitors. Some assets can be retooled, while you will realize other areas where new assets would be beneficial. Take stock of your situation and the variety of influencing factors, in order to begin planning from an informed and prepared place. Scalable SEO requires buy-in from company decision-makers, throughout planning and execution. You don’t need to know exactly what will happen and clearly, you don’t have a crystal ball. However, you should know enough of your business, industry, marketplace and opportunity to make educated projections based on a variety of scenarios and tactics you could employ. A successful business case will clearly show decision-makers exactly how your proposed strategy and tactics will work and why they are necessary. Marketers need to take care to explain the opportunities (and detriment if action is not taken) in a way those outside of SEO will understand. Tie each facet of your SEO strategy to a business objective to win over those who will make or break your plans with their decisions. Most importantly, give them options. Don’t become married to one way of doing things, because there are always alternatives. Having more than one path in mind to your goal gives you the opportunity to refute rejections with alternate plans of action. It also helps decision-makers feel more involved and invested in the process when they are able to actually make decisions instead of being asked to sign off on the entire plan as a whole. If you’re handling your SEO strategy in-house, prepare training material and documentation to help new team members quickly get up to speed. Taking on new hires during growth can be challenging, as everyone involved is in learning mode. If you are working with an agency, choose one from the start with the talent and resources to grow with your SEO needs. Remember that your SEO strategy is an investment; the cheapest option may not be the one that can scale with your growing company and its needs. If you are responsible for the entire online marketing plan, SEO is just one of your considerations as the company grows and online marketing needs increase. If you are responsible for SEO only, you had better have a good working relationship with those who handle online advertising, public relations, social media and content marketing. Sustainable growth requires that each component of your online marketing strategy work together. Assets from content marketing are critical to your search strategy. Social media is needed to build community, drive traffic and amplify your messaging. Email marketing can help close the leads earned through search. Integrating all aspects of your online marketing strategy brings a better ROI for each individual component and delivers a better, more personalized experience for customers. SEO changes rapidly, yet there are underlying best practices and basics that ensure your site and online presence is a good foundation for the actions you will take as your business grows. One client we worked with recently was able to increase their pageviews and conversion simply by getting back to basics, putting their customer journey first, and making on-site changes to bring them in line with SEO best practices. At TopRank Online Marketing, we recently worked with a B2B online services provider looking for greater exposure of their company website where interested prospects were looking. They were looking to attract a very targeted subset of professionals to use their service and did not feel their current SEO strategy had kept pace with the growth of their company. The TopRank team saw an opportunity to drive more traffic to the website – which we did, to the tune of an almost 400% YoY increase – but also to optimize the on-site experience for visitors and close the gaps in their journey to conversion. Bringing on an agency to get their SEO strategy up to speed helped them reach their potential. However, customers were lost as the business grew without an SEO strategy to match their opportunity and growth in other areas. By implementing a cohesive program based both on search engine visibility and unique content to answer prospect needs, we were able to improve the overall quality of traffic and ultimately increase the amount of customers driven from search. Imagine the results if their search strategy had kept pace! If you want to be top of mind in a competitive industry, make your customers and their journey top of mind as you plan and execute your SEO strategy. Search engine optimization has to factor in what people will do, what action they will take, once they actually get to your site. CRO is the logical next step in any SEO plan, but also an important consideration in scalable SEO. Getting the right eyes on your site and helping them fulfill the need that brought them there needs to happen in tandem. Clearly, preparation is vital to the success of an SEO strategy that can grow with your company and customers’ needs. We need to be able to plan, yet stay agile and able to quickly react to – or even anticipate – changing needs and opportunities. Have you experienced challenges or successes in scaling your SEO strategy to meet demand? Share your own experience in the comments. via Online Marketing Blog Read More Here..